Jill's Pet Services - Friendly and Professional Dog Walking, Cat feeding, Pet sitting, Cat sitting, Pet Care based in Twickenham. 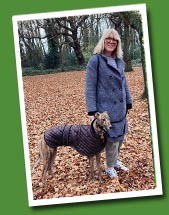 Cat sitter, Pet sitter and Dog walker covering Twickenham, Whitton, Hampton, Teddington, Richmond. Hello, I’m Jill and I run Jill’s Pet Services. Established in the local area for 7 years. Sometimes a busy life and time spent away from home mean you need someone you can trust to keep your pet happy and healthy while you’re not around. I’m here to help. As a dog owner and life-long animal lover I’m here to re-assure you that your pet is in safe hands. Before each job, I visit your home to get to know you and importantly your pet and their individual requirements. I take personal responsibility for caring for them and giving them all the love and attention they need. Just like you are caring for them yourself. I am insured and have excellent references. For cats, I am able to visit your home to feed, fuss and change litter whilst you are away. I can on request also gather post, open/close curtains or alternate lights so it looks like your home is lived in and water plants (note surcharge may apply). This means your cat gets the home comforts they are used to with no new environment to upset them. No disruption to their routine or yours. For dogs, I offer dog walking, also garden and puppy visits. My dog walks are always lots of fun in local parks. Dogs are not transported long distances in vans. There are only ever a maximum of 2 dogs on one of my walks. Puppy visits/garden visits are for those times you may need to be out, but don’t want to leave your dog for too long. These visits can be tailored to your needs and last around 30 minutes. They could include a small walk if vaccinated, playing inside or in the garden, basic training or just petting. For rabbits, Guinea Pigs, Gerbils, chickens, fish etc, I can visit your home to feed your pet as requested. For small caged pets, I am able to care for these in my home until your return. Please do take a look at the prices page to see what’s on offer. If you need something I haven‘t listed you can call me to discuss your specific needs. Based in Twickenham, I also cover Strawberry Hill, St Margarets, East Twickenham, Teddington, Isleworth, Whitton and Hampton Hill. I offer a professional, friendly, reliable and insured service. For more information or to discuss your pet care needs further please call or email.